Last month, we reported on Tesla introducing the Model X in Mexico and opening the first Supercharger in the country, which it announced in the most subtle, weird, but awesome way. 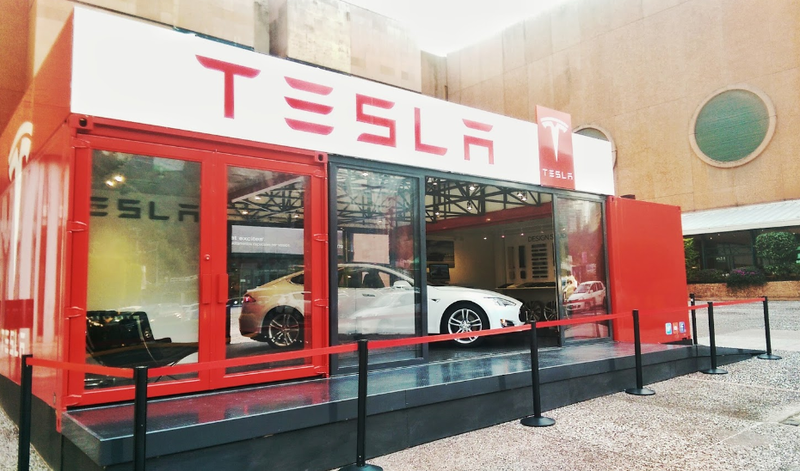 The automaker had already opened a “popup store” in Mexico, but now we learn that Tesla is opening its first non-mobile store in the country. Tesla hired Françoise Lavertu as its Country Director in Mexico last year. Before joining Tesla, Lavertu was the Director of Communication at Palacio de Hierro, a chain of upscale department stores in Mexico. Now Tesla chose the company’s Palacio de Hierro Polanco to open its first store in the country – pictured above via Instagram. While the location looks fairly small, it’s in line with Tesla’s strategy of opening stores in high pedestrian traffic location in luxury malls, like the automaker’s new partnership with Nordstrom at The Grove in Los Angeles. The shopping center is full of high-end retail stores like Cartier, Burberry, Versace, Mont Blanc and now a Tesla Store. As we discussed in our article on opening the first Supercharger in the country, Tesla started selling its vehicles in the Mexico. The new Model S 60 starts at ~$1,500,000 Mexican Pesos (~$79,500 US), including taxes ($68,000 before taxes), which represents a reasonable ~$2,000 markup for the vehicle imported in the country from California. The new Model S 60 starts at $66,000 before incentives in the US. A fully equipped Model S P90D with Ludicrous mode will set you back about $3 million Mexican Pesos (~$158,800 US) with taxes. Mexico’s car market has been growing steadily for the past few years. In 2015, it reached close to 1.2 million light vehicle sales, according to the Mexico dealers association.